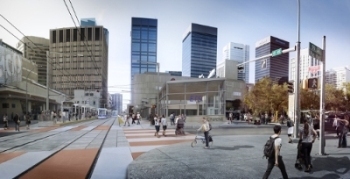 TransEd Partners, a consortium including global engineering and construction company Bechtel, has been selected by the City of Edmonton to finance, design, supply vehicles, build, operate, and maintain the first phase of the Edmonton Valley Line Light Rail Transit project. The Valley Line is central to the City of Edmonton's transportation plan, designed to meet the demands of Canada's second fastest-growing city that is expected to increase in size by 50 per cent by 2040. The project will be delivered using a Public-Private Partnership (P3) procurement model. Bechtel is the lead partner for the design and construction of the project. Bechtel also helped to secure financing and will assist in the provision of the operations and maintenance during the service period. "Bechtel has been working in Canada for nearly 75 years, and we thank the City for Edmonton for the opportunity to continue this legacy," said Keith Hennessey, Bechtel's manager of Public-Private Partnerships, North America. "We believe the TransEd Partners team brings unparalleled urban, light rail transit experience, and we share the City's vision to deliver a safe, efficient, and sustainable transit line that will help drive economic growth for the region." The multi-phased, 27-kilometer urban route will ultimately create 25 new stops and 3 stations for an estimated 100,000 daily commuters. The line will run southeast to west from Mill Woods to Lewis Farms, crossing through Edmonton's downtown core. The first phase of the Valley Line is the 13.1-km portion with 11 stops and one two-storey station, which will run between Mill Woods and 102 Street, connecting commuters with the Capital Line and Metro Line at Churchill Station. Construction is due to start later this year. In addition to Bechtel, TransEd Partners includes other industry leaders: Bombardier, EllisDon, and Fengate Capital Management. The team members have successfully delivered and currently maintain and operate major light rail transit and transportation-related projects across Canada and around the world. Recent and current projects include Ottawa's Confederation Line, the New Jersey Transit River Line, Nottingham Express Phase 1, Dulles Silver Line Phase 1, the Riyadh Metro, the Toronto-York Spadina Subway Extension and London's Crossrail. The Valley Line LRT contract award is the first win by Bechtel's new, dedicated P3 business line, which combines Bechtel's extensive design-build experience and long history as an equity investor and developer of projects. It is supported by an integrated team bringing together the full range of capabilities required for P3 including project management, engineering, construction, finance, operations and maintenance. The team will initially focus on the North American transportation market.